to calculate the optimal frame orientation. The poster does not necessary have a standard size. You can define its size by specifying the numbers of frames horizontally and vertically (fractional values are possible). 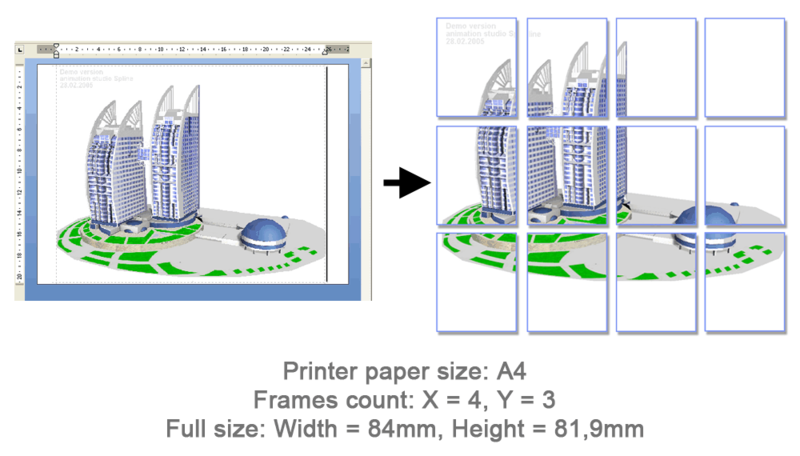 The figure shows the poster containing 4x3 frames of A4 size, portrait orientation. 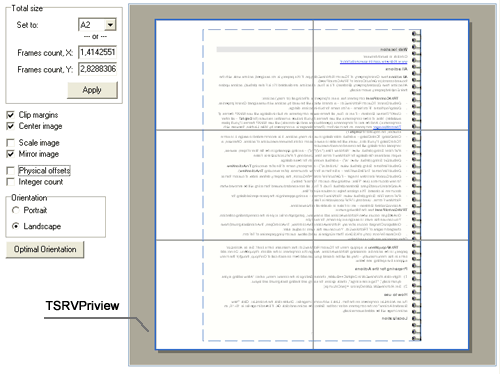 TSRVPreview component shows posters as they will be printed. See demo projects in the folder ScaleRichView\​Demos\​*\​SRVPrint\.